The first stage of my pre-production process was to brainstorm content ideas that could potentially be helpful to my target audience. Most of my ideas came from my own post-graduate experience and the questions and concerns that I had. I wrote my ideas down on notecards and sorted them by subject category. This process helped me to narrow down the stories that I wanted to include. I combined my personal ideas with examples from other publications. 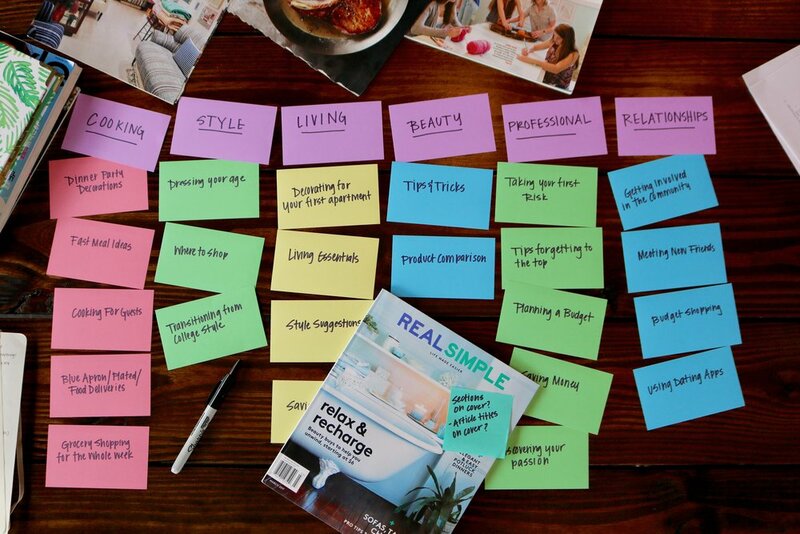 "Real Simple" Magazine helped with a lot of information.